The most popular trekking destinations among the mountaineers, Everest Base Camp comprises of adventures, thrills, challenges, and not to forget the breathtaking views of the Mt. Everest. Approximately at the elevation of 5364 m, Everest Base Camp is the commencement to the Mt. Everest. Everest Kalapatthar Trek gives you an outlook to hike both Everest Base Camp and an excellent 360-degree view of Kalapatthar (5545 m). It is a complete package trek that would make your trekking experience a memorable one. The Everest Base Camp Kalapatthar Trek amends with the thrilling mountain flight trip to Lukla. The flight takes off from Kathmandu to Lukla then descending towards Dudh Koshi. Offering the magnificent views of Mt. Everest, Mt. Lhotse, Mt. Makalu, Mt. Cho Oyu, and other 25 snow-capped mountains of the Everest Region, this trip will create a unique trekking experience for you. With the stunning views of Kalapatthar and other gigantic snow peaks, the trek also lets you explore the Khumbu glacier and Khumbu icefall. From Himalayan landscapes to the breathtaking views the EBC trek has it all. Amidst the expedition in the Everest region, you will get to explore the Buddhist culture and traditions. You will come across colorful Buddhist monasteries, chorten also may get to hear the dubious explanation about ‘Yeti’ the abominable snowman. The trek leads you through the beautiful Sherpa villages. Take time to discover the local architecture, culture, tradition, the traditional gompas, the prayer flags, and the mani walls and their importance in the Buddhist livelihood. Everest Base Camp is one of the most promising destinations for the trekkers offering the amicable environment for trekking. Not to mention, this trek gives you the opportunity to have an up-close view of the world’s tallest summit, the Mt. Everest. The strenuous Everest trek requires you to be fit and well equipped with the trekking equipment including boots, waterproof clothing. The best time to visit EBC is the pre-monsoon and post-monsoon seasons. You can trek during the winter seasons, but it can be very cold and can dump snow at the trekking trails at any time. Weather can be very challenging during the winter days. You will heartily be welcomed by our representative at the Tribhuvan International Airport. From thereon, you will be dropped at the hotel for relaxing. After that, you will be given a brief orientation of the trek by our representative. After breakfast, there will be a thrilling flight to Lukla that will fly for approximately 35 minutes. Our car will drop you off to Lukla airport. During this 35 minute flight, you will relish one of the most beautiful air routes in the world, concluded on a hill, surrounded by snow-capped peaks. After you reach Lukla, our representatives will be there to lead you for the further trek. From Lukla, we will start trekking to Phakding. We trek through Cheplung village from where we catch sight of Mt. 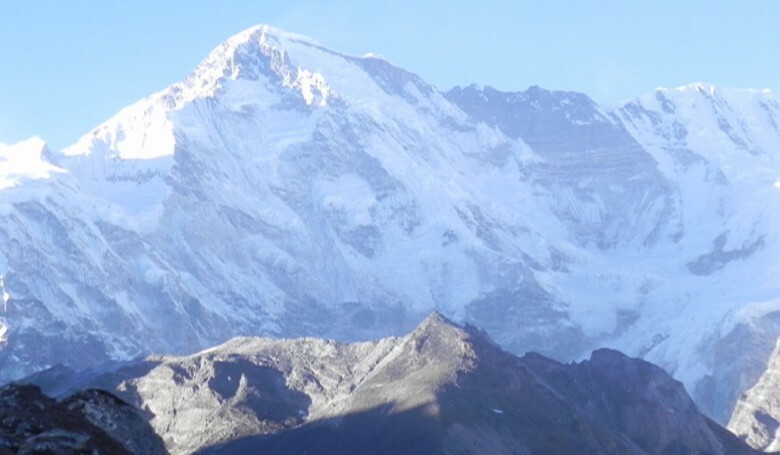 Khumbila, the sacred mountain which has never been ascended. Note: The weather in Lukla can be unpredictable and changes unexpectedly. For this reason, the flight can be canceled or delayed. You will have to head back to your hotel. The day starts with the trek from Phakding, for this, we will have to cross the river to continue the trek. We will walk through the beautiful rhododendron and blue pine forests. We pursue the trail north up to the valley of Benkar. Crossing the Dudhkoshi river we will head towards Chumoa to Monjo, the entrance to the Everest National Park. Henceforth, the way to Namche Bazaar becomes a bit difficult that includes a perpendicular climb. From Namche Bazaar we get to see some of the stunning views of Mt. Everest and Mt. Lhotse. We will stay overnight at teahouse. We would stroll around the beautiful Namche Bazaar and spend the entire day acclimatizing here. Namche Bazaar is a prosperous village here in Khumbu region with facilities of ATM, internet cafe, shops, restaurant, with a vibrant market. Our guides will help you stroll around the beautiful Namche bazaar. We can also visit Sagarmatha National Park for some stunning sceneries and to enjoy the breathtaking views of sunrise and sunsets. Moreover, we can also trek to Khumjung village, a beautiful settlement of Sherpa people. Descending through the Dudhkoshi, Khumjung village, we move to the major pathway to Everest. 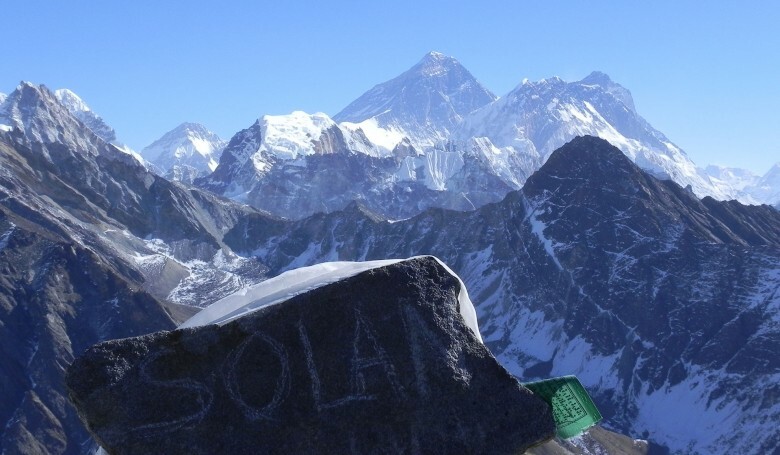 While descending you will get to see the magnificent views of snow peaks like Mount Everest, Lhotse, Nuptse, Ama Dablam, Thamserku, Kongde and so on. Reaching Tengboche, we would visit the Tengboche monastery and enjoy the wonderful glimpses around. We will stay overnight in Tengboche. Cascading through the forests of rhododendron, pine, and conifers, we again get to see the astounding views of Mt. Everest, Mt. Lhotse and Mt. Amadablam. The trail leads to Devuche further heading towards the Imja river. Further, crossing the Imja river, the path takes us to Pangboche. During this trekking trail, we get to enjoy the pristine views of snow caps and the Pangboche monastery. Further, from the Pangboche we head towards the Imja Valley and finally ascend to Dingboche. Overnight at Dingboche. Leaving for Lobuche, we trek towards Khumbu. Initiating with a gradual climb to Duglha, we mount to Khumbu glacier moraine. We come across several great peaks - Khumbutse, Lingtren, Pumori and Mahalangur Himal. Proceeding from Duglha, the trail escalates to a steep trail to the moraine. Moreover, the path then moves to Lobuche through a comparatively easy trail. Overnight at Lobuche teahouse. Taking the trail to Everest Base Camp, we trek past to the vast Gorak Shep Lake. This would be the most exhausting as well as a significant part of the entire trek. Enduring with the trail we come across Indian army mountaineers’ memorials. Hence, we must follow our Sherpa guides carefully. The trek can be strenuous because of the thin air. Continuing, you will see the tents of mountaineers in the EBC. From here we get back to Gorak Shep for relaxing and overnight stay here. Not to mention, the alluring sunset view from Kalapatthar makes your trek a worthy one. As the rays of sun hit the snow peaks, it is of the admirable series to visualize. Bracing up for the early morning trek, we trek back towards Gorak Shep. Walking in the chilled morning, the views of Lingtren, Khumbutse, and Changtse tower to the east even as Everest begin to reveal itself. The picturesque trek lets you view some seriously breathtaking scenes making it a memorable one. We descend back to Dingboche from Lobuche. On the way, we get to the stunning sights over again. The trek would take about 4 hours 30 minutes. Overnight at Dingboche. Trekking down the hill through the rhododendron and juniper forests, we head towards Namche Bazaar. On the way, you will see colorful flags festooned on the Dudhkoshi river’s bridge. While descending the path leads to Sansa, where you get to see the stunning views of Mt Amadablam, Nuptse and Thamserku peaks. Finally, you reach Namche Bazaar after the winding trails. Overnight at Namche Bazaar. The trek initiates from descending through the Namche Bazaar. The trail is steep and can get difficult to walk due to the rocky terrain. Furthermore, after crossing the suspension bridges of Dudhkoshi river, the trail gets more ordinary. Upon arriving at Lukla we rest our sore feet and relax away from all the exhaustion from the trek. Overnight at Lukla. We can an early morning flight to Kathmandu after having our breakfast. After reaching Kathmandu you can relax and stroll the beautiful capital city. Also, popular as the city of temples, you can visit various world heritage sites here. Your spontaneous adventure to the Himalayas has come to an end. You will be taking back some best trekking memories along with you. Not to mention, your EBC trek would be a worthy as well as a memorable one. You will leave your hotels and pack your luggage and leave for the airport. Our representative will drop you at the Tribhuvan international airport. Accommodation hotel with breakfast Kathmandu. Public Bus from Kathmandu to Arughat Gorkha & Besisahar to Kathmandu or Private car. Transportation:Public bus or private Jeep .